What is the most difficult thing about your marriage? I understand that that’s not an easy question to answer. When it comes to marriage, there are a bunch of things that are really difficult. That‘s why a successful marriage takes hard work and commitment from both spouses. I think for many married couples, the most difficult thing is learning to forgive their spouse when they feel they’ve have been wronged, disrespected, ignored, or taken for granted. Look, I totally get it. I (just like you) have often been the spouse in need of forgiveness. I have been the one that has said or done something wrong. I’ve been insensitive and dishonest. I have felt the pain of hurting or disappointing my spouse. I have also been the one that felt wronged and disappointed. I’ve been the one needing to let go of the pain and anger and practice forgiveness with my spouse. Not because they needed it or deserved it, but because I needed to forgive for me. 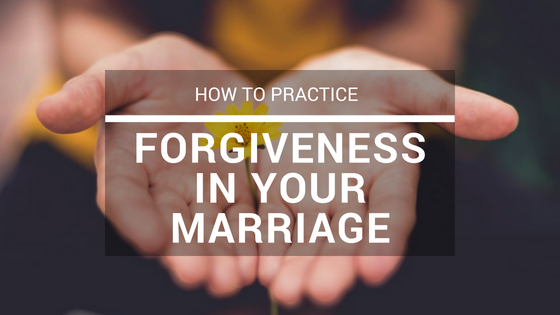 Understanding these concepts will go a long way towards helping you practice forgiveness in your marriage. Alright, so what is forgiveness? What exactly does it mean to forgive? Forgiveness is simply the act of letting go of feelings of resentment or the need to punish the person who has done you wrong. From a scriptural standpoint, forgiveness is placing the right and power to judge in God’s hands. 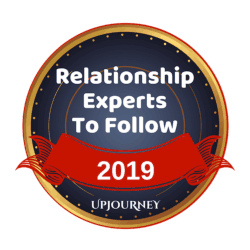 In our related post 11 Best Don’ts to Avoid an Unhappy Marriage, we discuss how “If/Then” types of communication and behaviors are not healthy for your relationship. Christ didn’t wait for us to clean up our act before his sacrifice on the cross. He loved us and forgave us while we were still sinners. The act of forgiveness is so you can find peace. Putting stipulations on your forgiveness is trying to manipulate the situation and is not consistent with the God’s example. While it’s critically important that you understand what it means to forgive, it’s equally important that you understand what forgiveness is not. Forgiveness is not a sign of weakness: It takes a very strong person to put their anger and bitterness aside and release their desire to punish the offending spouse. Forgiveness is not about them: Forgiveness is about you. Forgiveness is not condoning their actions: You can forgive (and must) your spouse for an action, but you don’t have to agree or like the action. Forgiveness is not forgetting that the action happened: I’m sure you’ve heard the phrase “Forgive and Forget.” While forgetting is a nice thought, it is often not a reality. In many cases, it is important to remember what happened in order protect yourself. Forgiveness is not about remaining a victim: Forgiveness is not about remaining a victim and allowing the offense to repeat. You should never tolerate abusive behaviors (sexual, emotional, or physical). Forgiveness is not reconciliation: Although forgiveness is a part of reconciliation, true reconciliation may be a much longer and involved process. As you can see above, forgiveness is not about going along with behaviors, condoning actions, or remaining a victim. You can forgive your spouse for an offense, but you do not to have to continue to tolerate behaviors. You must maintain your self respect and expect your spouse to treat you in a loving and respectful manner. So, why must you forgive your spouse? Forgiveness is about you. It is about your peace of mind and not being controlled by anger or disappointment caused by another. When you hold onto resentful feelings, you begin to undermine your own health and happiness. You become so focused on certain actions of the past that you may not be able to enjoy the present. You may not even see that your spouse is trying to make amends for their action(s) that offended you. 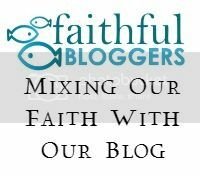 Check out her awesome post for more details. A study by Virginia Commonwealth University found that continuing to practice an unforgiving nature causes stress. If your are holding bitterness against your spouse, your stress level increases when you see them or think about them. By practicing forgiveness, you are being obedient to God’s word. It’s really very simple. In order for you and your spouse to have a successful and happy marriage, you are both going to have to learn to be very good at forgiving. You both, at times, are going to cross the other. Your spouse is going to not listen when you are trying to share your feelings. They’re going to be short with you when they’re feeling stressed from work. They are going to hide something that they should have told you. Your spouse is human and prone to dumb decisions, being selfish, and exhibiting flawed behavior. In order to have a successful marriage, you are going to have to forgive and forgive often. By forgiving, you are not letting the poisons of bitterness build up within you or your marriage. Poisons that are left unchecked will eventually erode away the foundation of your marriage. For some, withholding forgiveness provides them with a position of power or control in the relationship. They feel that they are not going to forgive until the offending spouse has served their just time in marital jail. I can tell you with 100% certainty that this is not the approach for a successful marriage. But, but, but if I forgive them, who will punish them? Simply, it’s not your job to punish. It’s one thing to not forgive. It is another to consider it your job to punish your spouse. In this case, you have taken a bad situation and made it worse. Marriage is not about having a position of power or having control over the other. It’s about loving your spouse and having a partnership in life. How Do You Learn to Forgive? OK, you probably agree that you “should” practice forgiveness, but you may struggle with the question of how to do it. No worries, it’s a very good question. In order to forgive, you must acknowledge that you have been wronged, betrayed, or disrespected. Pretending that something did not happen will not allow you to move forward and heal. Forgiveness comes from a willingness to put feelings away. A decision to release. Forgiveness is about letting go of your need to punish. A decision to sacrifice. By forgiving your spouse, your sacrifice your desire for justice. A decision to trust that God is up to good. By forgiving, you are making the decision to trust God and not lean on your own understanding. You are trusting that God will use your forgiveness to grow your marriage. A decision to grow. Forgiveness is not a one-time thing. There will be other times your spouse will need you to show them mercy. Use forgiveness as an opportunity to not only grow in your marriage, but to also grow personally and spiritually. What if They Never Apologize? Doesn’t matter. Remember that forgiveness isn’t about them. It is about you and you being obedient to God’s word and the example set for us. Depending on the situation, your spouse may be completely unaware that they owe you an apology. They may be oblivious that they have done something wrong. That is why you can’t hold on to bitterness while waiting for an apology that may never come. Release the feelings you have and the need for that person to be punished. Getting another person to change his or her actions, behavior, or words isn’t the point of forgiveness. Think of forgiveness more about how it can change your life — by bringing you peace, happiness, and emotional and spiritual healing. Forgiveness can take away the power the other person continues to wield in your life. If your spouse is continuing to exhibit behaviors that anger you or make you feel disrespected, then you must communicate with them. Are they aware of what they are doing? Have you communicated how a particular action or word makes you feel. 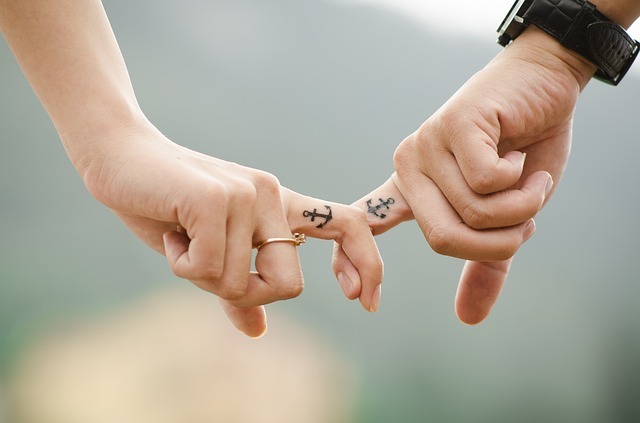 If you are having difficulty communicating with your spouse, try our related post 7 Awesome Communication Skills to Improve Your Marriage. Forgiveness is not about your spouse. It is about you being happy and healthy in yourself. It is about being obedient to God’s word. Forgiveness, depending on the action, can take a lot of effort on your part, but it can be done. For your own well-being, it has to be done. When you are happy within yourself, your marriage will reap the benefits. I understand that forgiveness can be very difficult. Depending on the transgression, you and your spouse may need to seek the help of a counselor, clergy, or trusted friend. However you reach a state of forgiveness, remember that it is about your health and peace of mind. If reconciliation is the goal, then forgiveness is a key. However regardless of reconciliation or not, forgiveness is a must for you. Hands down Anne and Steve, forgiving for you was the easiest way to forgive myself and other folks. Fab way to apologize when I acted out of fear too. It is for you, to release the other person, which feels so hard to see when you feel like someone wronged you. But the reason why they appeared to hurt you is because they were afraid, the core of all anger and pain and all resistance. Loving this post. Thanks guys.